Today, Xiaomi announced Redmi Note 7 Pro in China. Along with that, the company also introduced Redmi 7. Redmi 7 will go on sale in China starting from March 26. 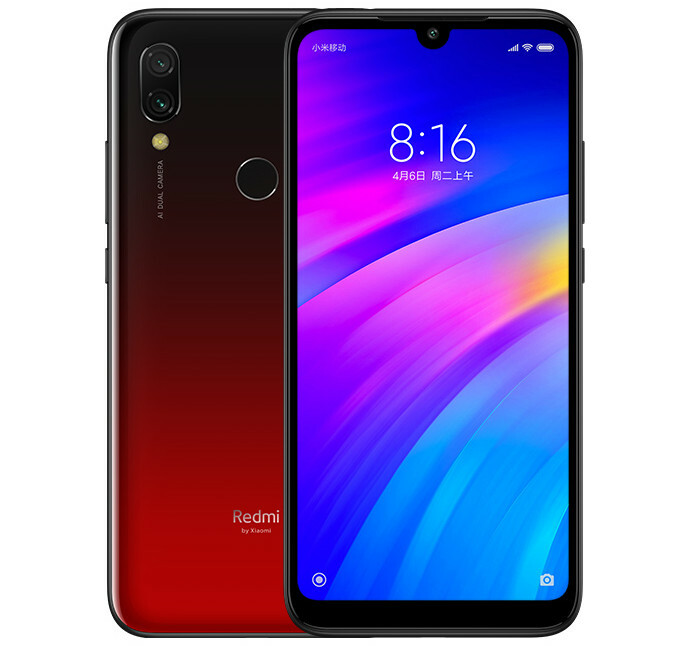 Redmi 7 features a 6.26-inch (1520 × 720 pixels) HD+ 19:9 2.5D curved glass display. The display also has Corning Gorilla Glass 5 protection. It also has Dot notch. The phone comes in gradient colored back. It comes in Blue, Red and Black colors. It packs 1.8GHz Octa-Core Snapdragon 632 14nm processor with Adreno 506 GPU.The phone comes in three variants including 2GB RAM with 16GB storage, 3GB RAM with 32GB storage and 4GB RAM with 64GB storage. Storage is also expandable up to 512GB. Redmi 7 has dual SIM support and comes with a dedicated microSD card slot. It has dual camera that includes 12 megapixels primary camera with f/2.2 aperture and 2 megapixels secondary depth camera. It also has 8 megapixels front camera. Like other recent XIaomi phones, it also has P2i nano coating for making the phone Splash resistant. The phone has both Fingerprint sensor and Infrared sensor. It supports Dual 4G VoLTE, WiFi 802.11 b/g/n, Bluetooth 4.2, and GPS + GLONASS. It also packs 4000 mAh battery.